What If You Could Permanently Block Telemarketers and Debt Collectors? I swear, sometimes bill collectors can be like the Mafia when it comes to tracking you down and making threats, and when you receive call after call--you wouldn’t be surprised if you woke up next to a bleeding horse head one morning. Telemarketing calls can be even more annoying, because with bill collectors you probably suspect you’ll get a call at some point, but sales calls always seem to fall out of the clear blue sky and always seem to find you when you’re most relaxed, eating a meal, or spending time with family. But a new smartphone app called PrivacyStar wants to help you in your battle against the invasive phone call, and with its varied and interesting list of features, the company looks to properly arm users against calls that bother us. We spoke to the CEO of PrivacyStar, Jeff Stalnaker, to get an idea of just how the app will assist consumers in blocking debt collectors, telemarketers and the ever-growing problem of robocalls. PrivacyStar also blocks text messages and has other unique features too. Probably one of the coolest and most useful things about PrivacyStar, says Stalnaker, is the feature that allows users to immediately file a complaint to the Federal Trade Commission (FTC) through their smartphone. Many times after an unwanted call is received, we get upset for a few moments; complain how annoying it is, then go back to what we were doing. The ability to send an immediate complaint could potentially put more pressure on the telemarketer or debt collector, Stalnaker explains. “After you block a phone call, we would pop a screen that says, “Would you also like to file a complaint with the Federal Trade Commission or the CRTC if you’re a Canadian user? he says. “You say yes, we ask if it was a telemarketer or a debt collector, you say one or the other--we ask you if you have an existing business relationship, you say yes [or] no”. “Then from there we have a menu of things that you can add to it such as this was a pre-recorded message, this caller was harassing me, I told them not to call me again but they did repeatedly. So all the boxes you can check on the Do Not Call government website, we ask those same questions, so we really mirror what somebody can do on the website but we let you do it in about five or six seconds,” says Stalnaker. It seems the Do Not Call list hasn't been very effective as of late, as more than 200 million people in the U.S. have registered for the list, but 150 million telemarketing calls are still made each day. Also, 20 percent of those calls are Do Not Call violations, according to PrivacyStar's statistics. Recently, Stalnaker spoke at the FTC’s Robocall Summit in Washington D.C., and says he expects PrivacyStar to be one of the federal agency's top three complaint providers when tallies are released. He also says the phone app has a caller and text ID feature that works better and faster than caller ID features that come with the smartphone. And if you don’t recognize a call or text, the app will be able to look up who that caller was—even after the call has ended. The app also has a feature called SmartBlock that gathers the top 25 blocked numbers from all of its users and provides a list for customers on a biweekly basis. And if you choose, PrivacyStar will block those numbers for you, even if those callers never tried to contact you before. Stalnaker also says the Do Not Call list was effective when it was first introduced, but eventually telemarketers and debt collectors were able to work themselves around the restrictions pretty effectively. “The bigger challenge is we’ve got to have more, better and maybe harsher enforcement action by the regulators. I know there doing the best they can, they have limited staff and limited budget, so I’m not really beating on those guys— I’m just saying since we’re seeing this expansion of telemarketing calls to people that are on the Do Not Call list, one way at least to correct that is you start enforcing these rules by penalties and fines,” he said. 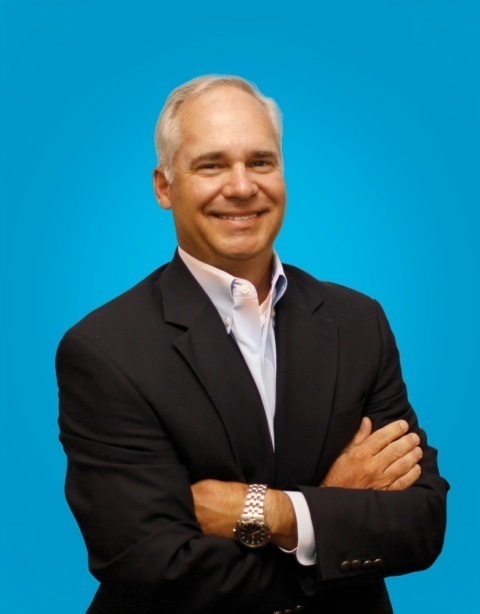 Stalnaker also thinks consumers need a seamless and easy way to file complaints to the FTC, because many times, once an unwanted call is received; it’s rare that a person contacts the government agency immediately after. With PrivacyStar, you don’t have to remember details of the unwanted call, which allows consumers to provide better and more accurate information to the FTC, says Stalnaker. 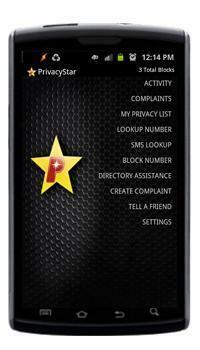 PrivacyStar is made for the Android and Blackberry with limited functionality on iPhones. More features are also supposed to be added by the start of next year, like a parental control component that allows parents to better communicate and monitor their child through their smartphone. The app can be downloaded at Google Play and the Apple app store. Currently the app has 850, 000 users and blocks about 1 million calls per day, says Stalnaker.